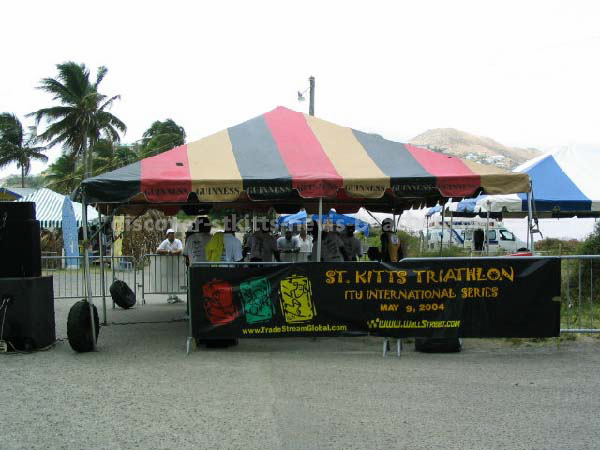 The St Kitts Triathlon was held on Sunday May 9, 2004. 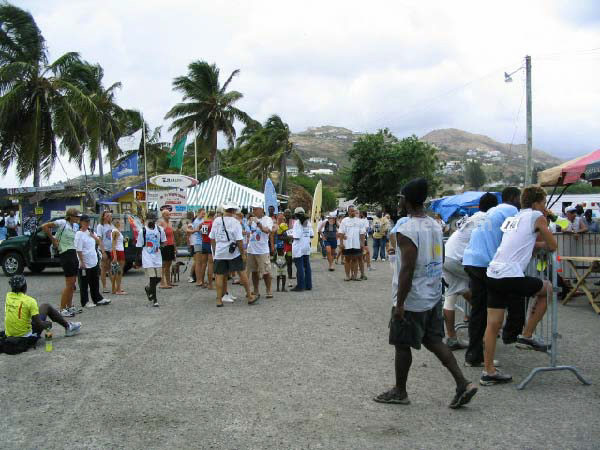 The event which is in its eighth year, attracts large numbers of international as well as local competitors. 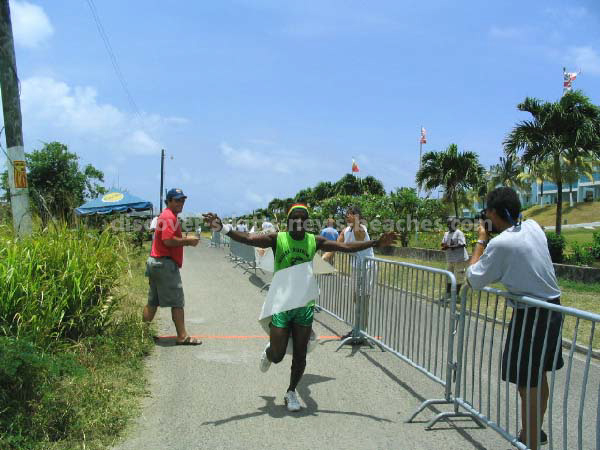 Usually, the race is sanctioned by the International Triathlon Union (ITU) and elite competitors can earn points towards world rankings. 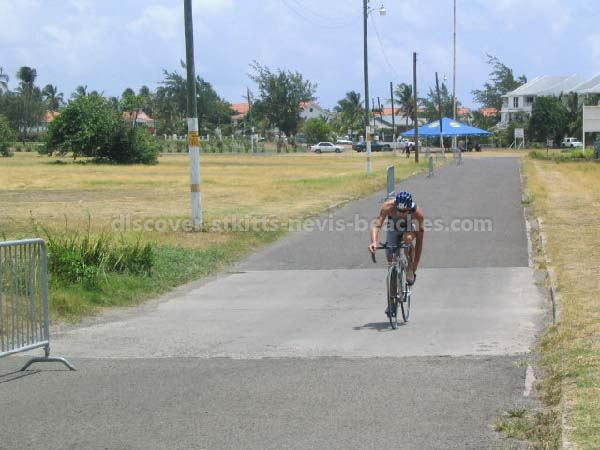 However, this year being an Olympic year, the St Kitts Triathlon was not an ITU race due to scheduling conflicts with International Triathlon Union (ITU) events. 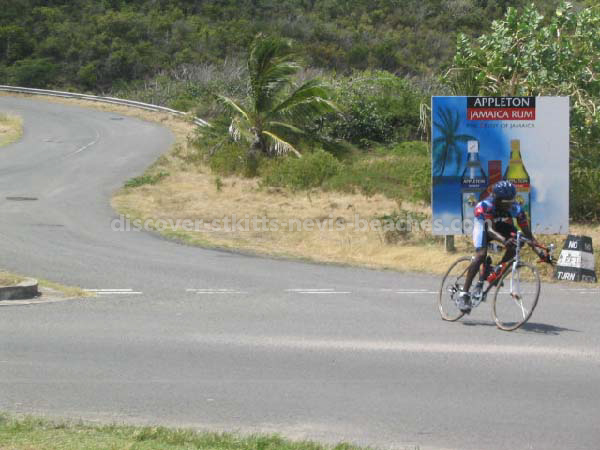 The course includes a 1.5 kilometer swim in the clear blue waters of South Frigate Bay, a 40 kilometer bike along the Southeast Peninsula and a 10 kilometer run along the roads and hills in the Frigate Bay area. 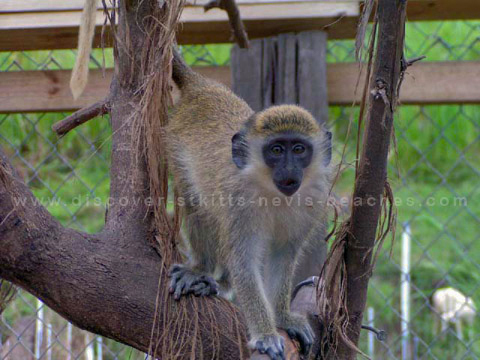 On this page I'll be sharing some of the photos that I took. 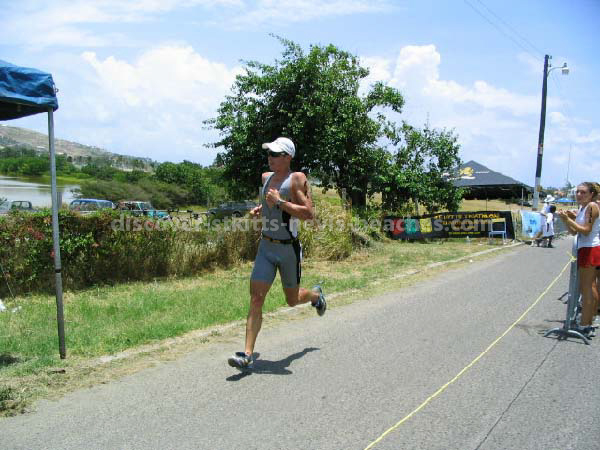 I missed the start of the race and the swim course so I must apologize for not having any photos of those two important segments of the triathlon. 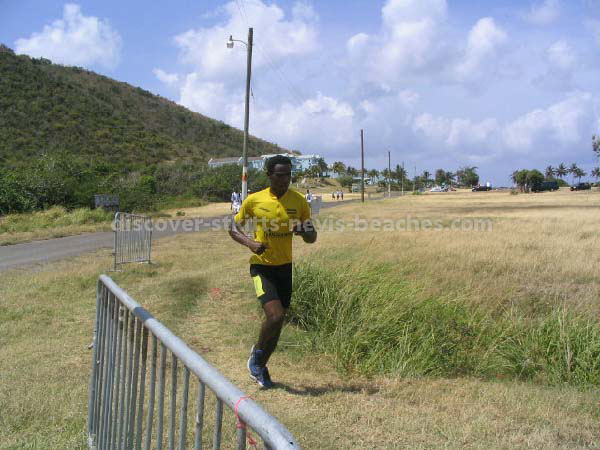 I'll try my best to make sure that I will be there to capture those moments the next time around at the 9th annual race. 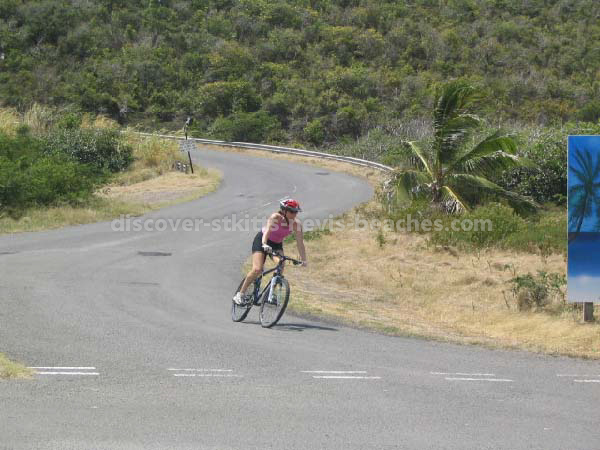 Meanwhile, please feel free to browse through the photos on this page. 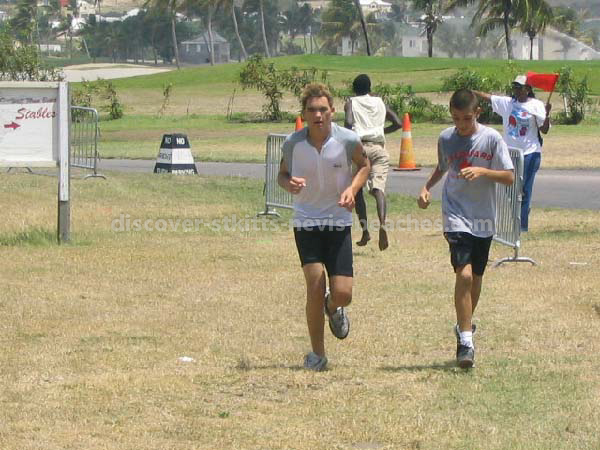 Photos of the 2004 winners are posted on my Photos of the 2004 Winners page. 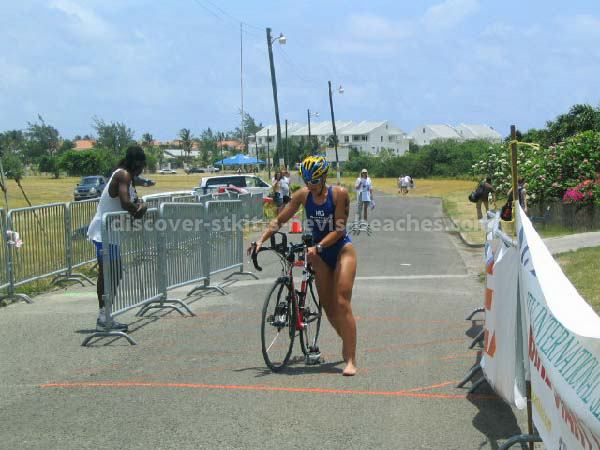 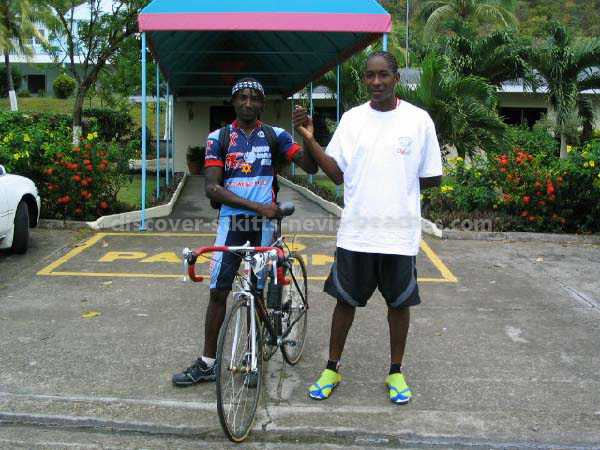 To view the 2004 St Kitts Triathlon Series Results visit the Olympic Race Results or Sprint Race Results.